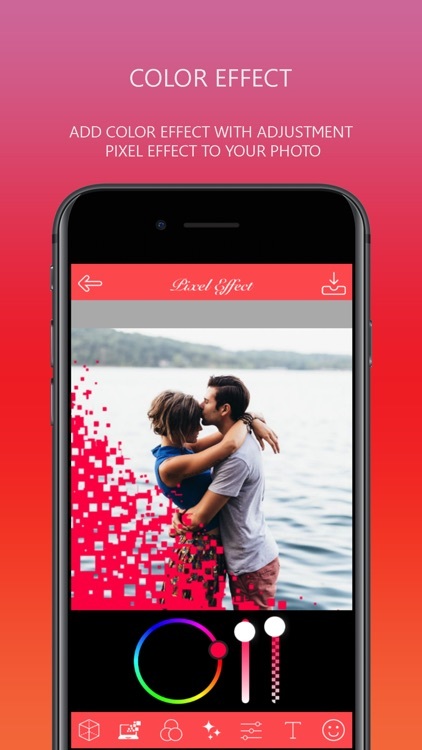 - Pixel effect : Pixel Editor has variations of particle dispersion effect of your original photo. 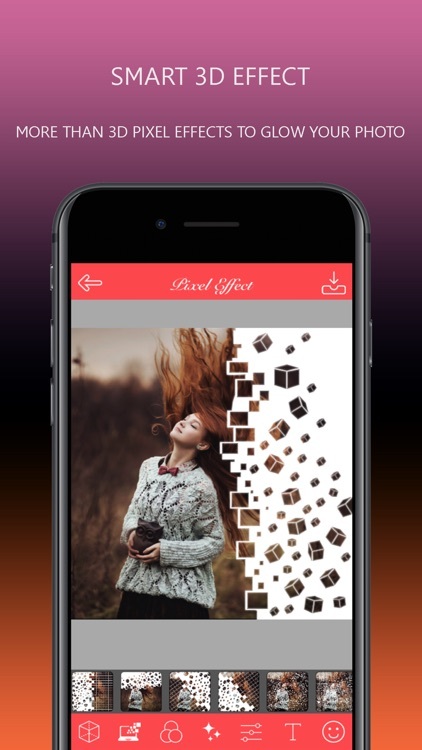 - Pixel effect : Pixel Editor app is converting your photo into bleeding effects. Its looks like magic effects on your photo. - Just one step, tap your fingers and transform your photo into amazing look. The most amazing app to create particle dispersion in 3 easy steps. Select Photo from gallery or camera. Paint module to cut picture and apply different different style of pixel effects. Transform photos with the tap of a finger. 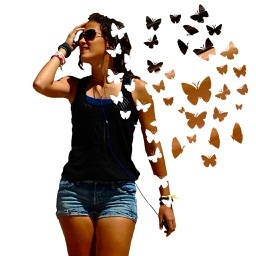 Use simple, yet powerful, photo editing tools to apply particle dispersion/pixel effect. 1. Huge number of pixel particle dispersion effect. 3. HD effects on photo. 4. Different stickers and text. 6. Save your photo in the gallery. 7. Easy to use UI. 8. Import photos from gallery or take from camera. 9. Make your photos extra fun with creative pixel effect style. 10. Auto particle dispersion tool for any photo. 11. save your art in your phone gallery. 12. Post your pics easily on Facebook, Twitter, and even Instagram. 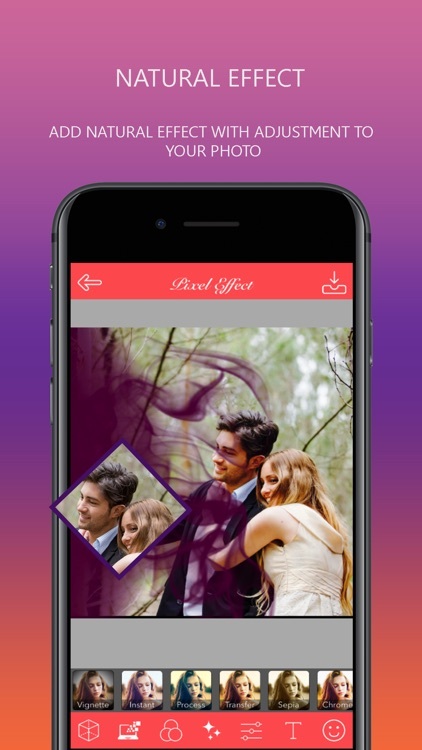 - Pixel effect : Pixel Editor app is to choose photo from camera or gallery. - Crop the original image or take whole original photo. - Apply bleeding effects from the huge number of pixel effects. - Change different effects on your photo. - Set text and emoji also. 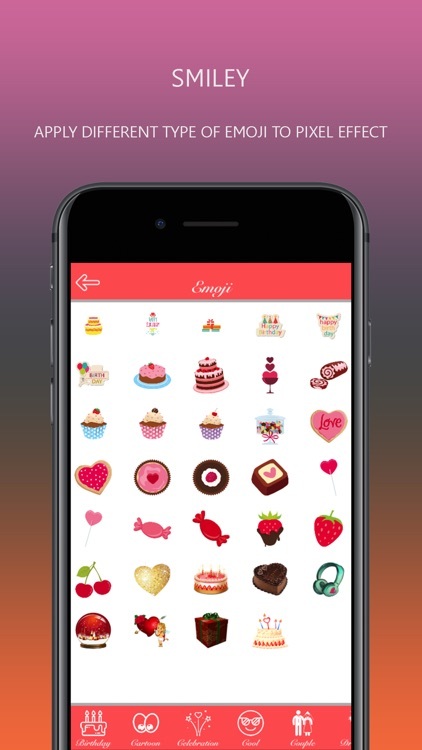 - Beautiful pixel edited photo share with your friends and family. 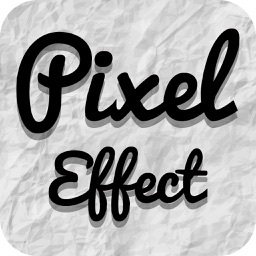 Pixel effect : Pixel Editor app is completely free to download.